What To Do When the Boss is a Bully? Within a week, some of Patterson’s unhappy subordinates had retaliated by posting his harsh email to a very public website. The post quickly went viral and the company’s asset value plunged by 22%. 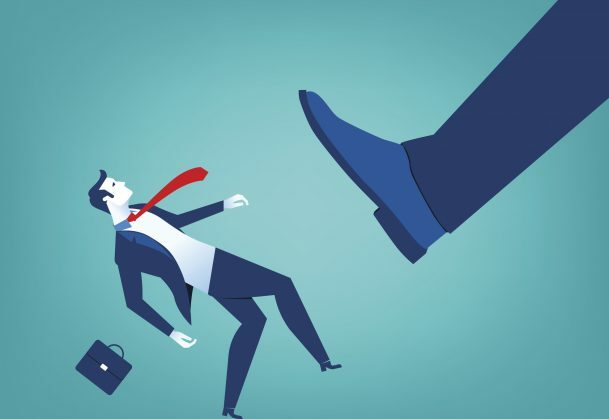 APS Fellow Harvey Hornstein reports that a majority of employees experience abusive behavior from a boss at some point during their careers. The most common response to this bullying behavior from bosses? Payback. In a recent study on subordinate payback, Hornstein interviewed a diverse group of 100 working adults as a follow-up to a previous 1996 study on responses to supervisor abuse. Participants were asked about eight types of supervisor abuse including: lying, dictating subordinates’ lifestyle and behavior outside the workplace, threatening consequences, using a subordinate as a scapegoat, showing favoritism in the distribution of rewards and punishments, cruelty, disrespect, and displays of personal superiority over subordinates. Hornstein found that disgruntled employees tended to respond by successfully finding strategies for deterring abuse or by engaging in unsuccessful, often destructive, behavior targeting their boss or the organization. Hornstein does not endorse or condone retribution, but he does note that evidence suggests retribution is a very common occurrence in the workplace, and that some forms of payback have more productive results than others. In an article published in Psychological Science, researchers Nathanael Fast (University of Southern California) and Serena Chen (University of California, Berkeley) identify one strategy for taming, and hopefully preventing bullying from bosses – a little flattery. To test this prediction, they conducted a field study of 90 working adults. Participants completed questionnaires rating their sense of power at work, self-perceived competence, and aggression. High status people who doubted their own competence reported more aggressive tendencies compared with peers who viewed themselves as highly competent. In another study, the researchers looked at whether self-perceptions of incompetence would actually lead to aggressive behavior directed at subordinates. A group of 59 college students were told they would play the role of a teacher (a high power role) while their partner played the role of a student (low power role). All participants completed the real measure of self-perceived competence as well as a bogus leadership aptitude test. When they got their “scores” from the phony leadership test back, one group randomly received positive feedback (i.e., told they had “excellent leadership aptitude”) while the other group received neutral feedback (i.e., “average leadership aptitude”). Next, “teachers” were told their student partners would be competing for a $20 cash prize, and participants were given the opportunity to choose which task – easy or difficult – their partners would complete. Aggression was measured by whether or not the subjects used their powerful position to sabotage their partners by choosing the more difficult tasks. Again, a combination of power with self-perceived incompetence was linked to greater aggression. However, affirming participants’ leadership aptitude eliminated this effect; that is, powerful participants who received a validating boost in self-worth weren’t the ones sabotaging their underlings. “Power holders who do not feel personally competent are more likely than those who feel competent to lash out against other people. Additionally, the finding that self-worth boosts assuage the aggressive tendencies of such power holders implies the effectiveness of a strategy commonly employed by underlings: excessive flattery,” the researchers conclude. News > Minds for Business > What To Do When the Boss is a Bully? I experience this sort of bullying at my work place..it has gotten to the point that when my boss speaks to me I start shaking. How can I get help in Kings County California.